I’d seen vascular surgeons operate on ruptured aneurysms before as a medical school student in Buffalo. They worked, struggled, operated for a few hours, and still many patients died. But now it was 1979 and I was a first-year surgical resident on the vascular surgery service at Millard Fillmore Hospital in Buffalo, New York and I’d never seen anything like this: I am helping with a ruptured aneurysm. It is Dr. Syde (Abe) Taheri and myself—no other help. In one fell swoop, he opens the abdomen of a patient from xiphoid to pubis. There is a lot of blood. He calmly reaches into the abdomen with his right hand and clamps down. The bleeding stops and the patient’s blood pressure improves, then he grabs an aortic clamp to replace his hand. All of this has taken less than two minutes. The operation continued. Amazing exposure was obtained, and I realized the meaning of what he would say “if I can see it, I can do it.” A tube graft is placed. His words, “Big bites, two ties” still echo in my memory. The entire case takes 52 minutes. The patient survived. My mentor had quietly arrived. I decided to follow him and learn everything I could. At that time, there weren’t any vascular fellows—as a surgical resident you were it. There weren’t any interventional radiologists; we did all of our ascending and descending venograms. We did direct ambulatory venous pressure measurements by sticking #21 gauge needles into the dorsal veins in the foot, and we did a lot of axillary vein valve transplants. Decades later, I still remember the first time he had me perform on a ruptured aneurysm. He had me slide my hand along his and feel where to be. He said, “Squeeze the aorta tightly.” He removed his hand and left mine. I felt a pulsation above my fingers and none below. There was no more bleeding. I was 26 years old. He had put the patient’s life literally in my hands, and I understood his intent. That is what a teacher does. That is what a mentor does. That is what a surgeon does. The last time I saw Taheri was about 10 years ago at a VEITH meeting, and now I was about to interview him. I took a flight to Buffalo; it takes an hour from Newark. There is a lot that one can think about on a one-hour flight—and I did. I had already sent him some of the questions for my interview, but many others were coming to my mind. I landed in Buffalo. It was mid-June, prime time to visit. The weather was perfect. I drive Canterbury Woods where Taheri lives—a retirement community. Michael Vasquez, who also trained with Taheri and who treats vein disease in Buffalo and is well-known for his work about VCSS and other quality of life indicators, meets me at the entrance. Walking down the hallway to meet Taheri, I notice that the place doesn’t smell like a nursing home. And there he is, exactly as I had imagined: gray suit, white shirt, no tie. It’s 1:15 p.m. on a Saturday afternoon. We sit, with his assistant Evan by his side, in a meeting area outside his room. VM: When you were in training, vein issues were not a real part of a cardiovascular surgeon's training. What (or who) got you interested in vein disease? ST: The general surgeon at the hospital impressed me with his meticulous job when doing a stripping. Also intriguing was his approach to the symptoms and complications of vein disease. Varicose veins presented a major issue in mental and physical well-being. I remember going to parties and women would hide their legs. The general surgeon, when doing a stripping one day, turned to me and said, “This (stripping) is not the answer. There is another problem, but I don't know what it is.” That got me thinking. VM: Did this spark the idea of the vein valve transplant? ST: Things come to my mind, usually two or so a week. Most I throw away, but this one I kept. So over a couple of years I was thinking of it. The concept was obvious: an incompetent valve will eventually lead to hypertension, ulceration, and tissue death. I realized if you prevent the hypertension, that you would prevent complications. VM: Do you think that some of the patients we did a valve transplant on would probably benefit from iliac vein angioplasty and stent in 2016? By this, I mean they probably had obstruction as a major component and not insufficiency. ST: The major problem to ulceration of the lower extremities is hypertension. If we could establish circulation towards normality using a venous valve, it is a lot better than hypertension. VM: We still don’t have a good prosthetic valve option. You were working on this when I was in Buffalo. Why have we not accomplished this in 2016? ST: Because we don’t have a dedicated venous research lab. Venous societies should get together and fund one. Maybe vein disease is a systemic disease, not just a disease of the veins. We need to explore this on the cellular and subcellular level. VM: What is the next major advance we need to accomplish in the management of venous disease? ST: Correcting abnormalities in collagen, fibroblasts, and elastic tissue may prove to be the way we should address the problem at a cellular and subcellular level. Inexplicable diseases, such as vein disease and others, may be the product of cellular mal-motion, not unlike an arrhythmia, which can cause metabolic disturbances. There is motion that we are missing. This should be investigated and corrected utilizing nanotechnology. Motion of the cells may not be seen by us now, but cellular mal-motion may start a cascade of events on a cellular level that then manifests as vein disease. VM: You were the first of my three mentors. Without your influence, I probably wouldn’t have been interested in vein disease. The other 2 being Herb Dardik, another surgeon/inventor who developed the human umbilical vein graft, and Tom O’Donnell Jr., need I say more about Tom, a great friend for 25 years. Who were your mentors and what did they spark in you? ST: I had no mentor like that, no venous mentor at least. The general surgeon was the leader in both general surgery and veins—I looked to him. 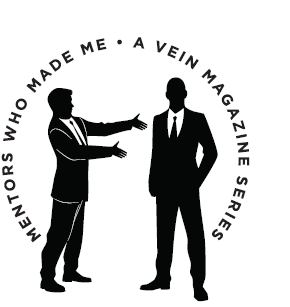 VM: Any advice for a young, bright vascular surgeon who wants to change the vein world? ST: I would reiterate that basic changes of vein varicosities should be investigated at the cellular and subcellular level. Work never kills you. I did it, you can do it. VM: I need to get a little personal. I have operated with many surgeons, but I have never worked with anyone who could get as rapid and complete exposure for a ruptured aneurysm as you. Skin to skin in less than an hour. Where did you learn this? Do you think this talent is not needed in 2016 with advanced endovascular techniques? ST: I am glad you asked this question because, in a ruptured aneurysm, there is a window available through which the index finger and thumb can easily enter and encircle the aortic wall. This should not be associated with any instrument, you have to be able to feel it out. You need to feel the landmarks, the aortic wall and the lumbar spine, as your sight does not assist you. If you know where to go blindly, to use your judgement and feeling, that accounts for some of the rapidity. As the interview ended, we shook hands. He thanked me for coming; I thanked him for his time. As he walked away with the help of his assistant and a nurse, I watched from behind. That goodbye was not enough. I followed him into his room. Put my hand on his shoulder. I needed him to know how important his influence was on my entire professional career back then—and now. I told him some people had suggested I interview him by phone or by email. I told him that it was important for me to do it in person. Something would be lost any other way but in person. I told him and sincerely thanked him. And then that 87-year-old man had a tear in his eye, and this 63-year-old had some too. We all need to know and appreciate how we travel along our professional path—how we got there. No one exists in a vacuum. In future issues, we will ask others to discuss their mentors. Contact me if you want to take up the challenge; it will enhance your life. The medical community lost a tremendous man in July, 2017. Dr. Syde Abbas Taheri passed away unexpectedly in his home in Buffalo, New York at the age of 90. Dr. Taheri was a prominent vascular surgeon that worked his entire life making grand contributions to venous treatment. He shared his lifelong passion for invention to advance medicine, and his leadership developed new generations of exceptional physicians. 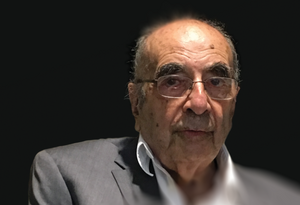 Dr. Taheri's co-invention of the Talent Thoracic Stent Graft has saved thousands of lives, and his vast works and efforts will endure by their immeasurable impact.